Once upon a time there were two researchers, Prochaska & DiClemente. (If you can’t already tell, I’m in a bit of a silly mood at the moment.) They were smart people who did research and read other people’s research and put it all together back in 1983 to come up with their Stages of Change model. 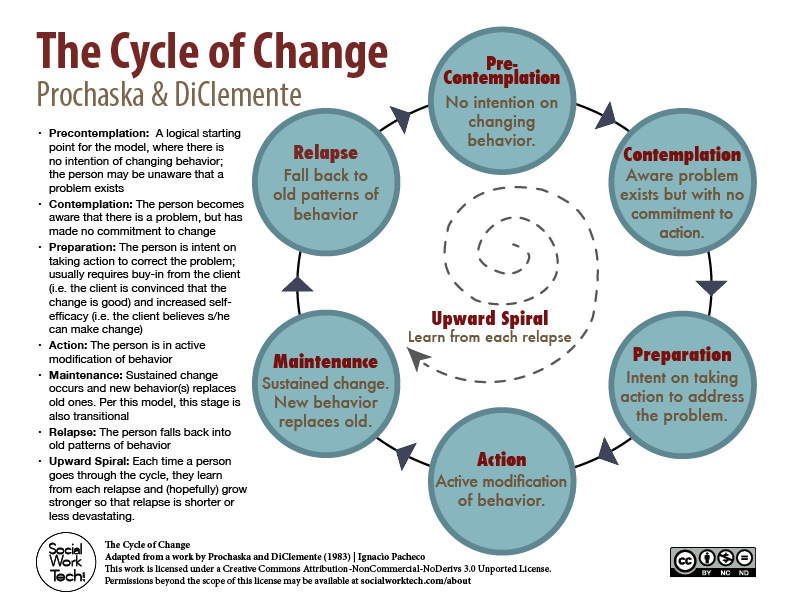 This model is used heavily in the treatment of addictions but can also be applied to things like the treatment of anxiety and depression…or almost anything really, where change is involved. What they so wisely realized, when it came to making a change in one’s life, was that in addition to understanding the human mind and what can help it to change, you also need to be aware of the person’s readiness to actually do the work to make the change that they are looking for. The stages are Pre-Contemplation (when you don’t even have the desire to make a change), Contemplation (when you recognize that there is a problem and you are starting to consider if you want to make a change), Preparation (when you are starting to gather the resources and information you might need to help you make this change), Action (actively working on making the change happen), and Maintenance (you’ve made the change and can finally start to not work so hard on it, but there may still be some things you need to do to keep this positive change in place). Below is an illustration of these stages. I like this illustration in particular because it’s drawn with a spiral rather than in a linear way. This is because there are no rules about the actual order we need to go in as we head towards change. And, sometimes, we even go backwards to an “earlier” level. I intend to get around to reading this myself. My “to read” book pile is quite high at the moment. So many wonderful ideas, so little time! However, on surface glance, it appears that it would be a quality resource to recommend to parents who are in the throws of struggling with their excessively moody teen. I am a fan of Dr. Kasner’s, after seeing her speak in a YouTube video, that I highly recommend. 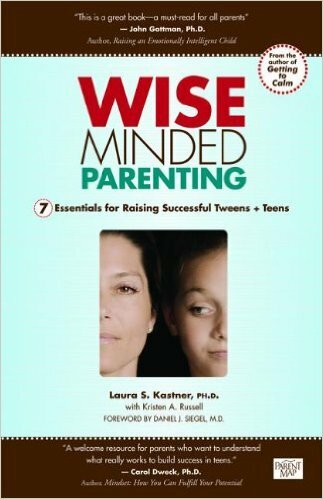 She does a wonderful job of weaving what science now tells us about the teen brain into a cohesive approach to parenting teens. The teen years are tough ones, for both the teens and their parents! So many exciting things are going on in the brain as it develops during the teen and young adult years. Due to advances in medicine, particularly the availability of functional MRI (fMRI) brain scans, researchers have been learning so much in the last two decades. The field of psychology has been studying this information and working to shape it into practical recommendations and approaches for parents, teachers, and the teens, themselves. In the video below, we get to benefit from the knowledge from two insightful and gifted people in the field. The first is Marsha Linehan, PhD. She is the psychologist who developed Dialectical Behavioral Therapy (DBT) and is highly regarded in the field of psychology. DBT was developed to work with people who meet the criteria for Boarderline Personality Disorder. (Note: If you haven’t yet read my view of the strengths and limitations of labeling a person with a diagnosis, I encourage you to check that out.) Over time, research has shown that DBT concepts also work well with other people who generally experience intense emotions that make them feel out of control. Not surprisingly, a lot of her ideas apply quite nicely to raising teens, particularly those teens who are having a difficult time keeping their emotions in check. Not an unusual concept in the world of adolescence, right? The second presenter is Laura Kastner, PhD. This is the first I’ve come across her but I enjoyed her approach and her presentation. She is a developmental psychologist and able to talk a lot about what the latest research is telling us regarding what the strengths and challenges of the developing teen brain are. She goes on to give examples of how parents can most effectively intervene with their teenagers, particularly during high emotion times. Note: I want you to be aware that Dr. Linehan’s speaks extensively about suicide. This is because, in its original form, DBT was developed to work specifically with individuals who had frequent suicide attempts. In the clinical world, these are individuals who are often intolerant of their own intense emotions and have no coping strategies to help them through. DBT helps them through. Now that DBT is an established form of therapy, research is starting to show that the techniques are just as powerful a way of helping people who struggle with intense emotions for a variety of other reasons not the least of which being the turmoil of adolescence. Just because you or someone you love struggles with “regulating” their intense emotion does not mean that they are suicidal or risk of committing suicide but because Dr. Linehan set out to make her life’s work out of working with people who experience the incredibly deep emotional pain, it is through that framework that she describes some of the many techniques that are a part of DBT therapy. This talk explains some of the concepts you will find in a book that I recommend and wrote a review on, Parenting a Child Who Has Intense Emotions: Dialectical Behavior Therapy Skills to Help Your Child Regulate Emotional Outbursts and Aggressive Behaviors by Pat Harvey, ACSW, LCSW-C. The talk does get fairly technical at times because both of these women are not only therapists, but research scientists too. Try to not sweat over some of the more complex terms they use and just focus on the stuff the more concrete examples they give. This is a talk that was given to an audience of parents and professionals. 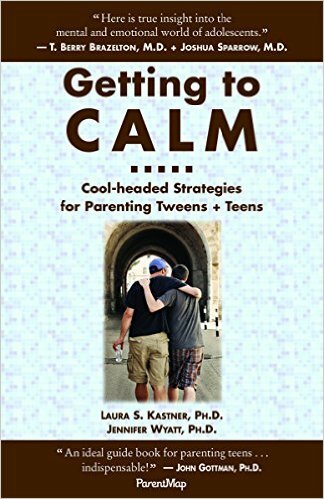 This is the first time that I have come across Dr. Kastner and I enjoyed her perspective so much that I’ve added her (and a co-author, Dr. Jennifer Wyatt’s) book, Getting to Calm: Cool-Headed Strategies for Parenting Tweens + Teens, to my (increasingly long) reading list. I am grateful to both of the speakers for allowing this talk to be available for free to the general public. A truly insightful book that helps parents to step out of the power struggles that we adults can so easily find ourselves in with children and teens who experience emotions in a big way. Kids who seem to blow-up over nothing, struggle with transitions, seem to be constantly challenging adult authority, or be intent on badgering you into submission for whatever they want are actually really struggling. They don’t like feeling out of control like this but don’t yet have the skills they need to calm themselves down, to soothe themselves, and to handle things in a calmer manner. The reality is that these kids respond VERY poorly to attempts to dominate them and punish them into compliance and it only serves to escalate the arguments and tension in the household while, at the same time, make them feel worse about themselves. Secondary problems can crop up like depression and suicidal thoughts. What else is there to do? 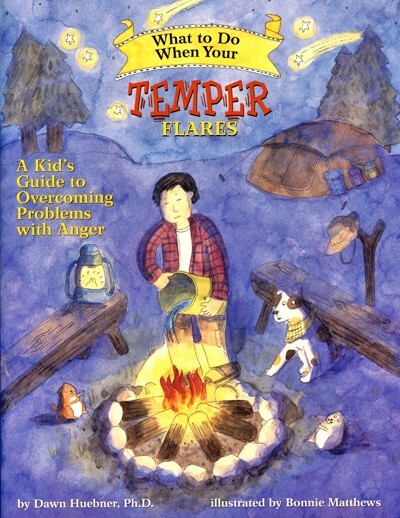 Based firmly in scientific research, this book helps parents understand the emotional struggles that kids like this are grappling with and how miserable they really feel when their emotions are out of control. It helps you find ways to show your child or teen that you love them, understand that they are struggling, and gradually teach them coping strategies that can help them to regulate their emotions. Additionally, it helps parents to set limits and expectations that are realistic and even therapeutic. If you have been reading this review and have been brought to tears by how much this describes your life with your child, I truly can’t recommend this book enough. I would also like to add a message of hope. Kids and adults who tend to experience their emotions very intensely also have many strengths and can “use their powers for good.” These are folks who are passionate and tenacious. They are artistic. They feel the pain of other’s deeply and care about making positive changes in the world. When they learn to harness their feelings constructively and focus their energies on projects that interest them, the things that they are capable of is incredible! Looking through the “lens” of the medical model, labels/diagnoses that are often connected to these types of kids are: ADHD, ODD, Asperger’s, Bi-Polar Disorder, and Borderline Personality Disorder. I caution you to only lean on labels like this for what they can do for you. Often labels like this cause harm because some people take it to mean that something is “wrong” with them; that they are “broken.” I don’t think this is a helpful or healthy perspective. You can read more of my thoughts on this here. So, if you are struggling with a child who has intense emotions, get this book. 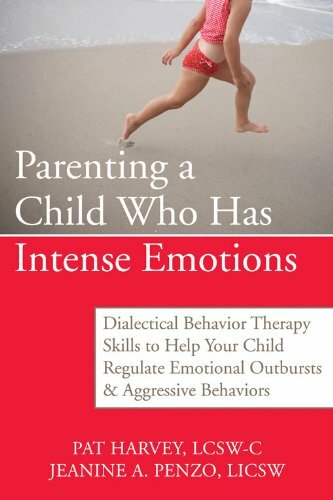 Also, I urge you to strongly consider finding a therapist (or two) who has experience working with children/teens AND who has experience using the theoretical framework this book is based on, DBT (Dialectical Behavior Therapy). This is a tough road to go alone for both the child and the parent. If you are at your wit’s end, it can also help a great deal for you (together with other parental figures in the home) to have your own therapist to guide you though the process, helping to shift your approach with your child to one that teaches emotion regulation instead of constantly doing battle with them. Ideally, signing release forms so the two therapists can coordinate the work they do with your family will help the process to be as effective and efficient as possible. PS – You may also want to check out this video, Teen extremes: Regulating Moods in the Age of Anxiety, as it based on the DBT concepts described in the book and presented by Dr. Marsha Linehan, the actual psychologist who developed DBT. * I don’t make any money from the books that I recommend. My reviews are solely based on wanting to let people know what’s out there and could be helpful to them. I use this book in session with some of my clients. Parents can also use this on their own with their kids and there is an introduction in the beginning of the book to help guide parents through how to approach it. With a positive, supportive approach you can really deepen your relationship with your child by being a resource that can help him or her to work through these challenges.